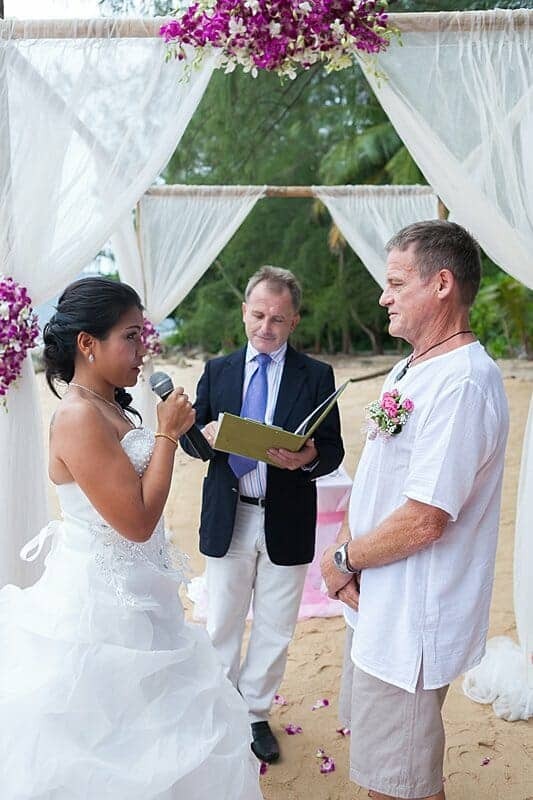 As you Wedding Officiant in Phuket or Asia, I will ensure that your special day & wedding ceremony runs smoothly. 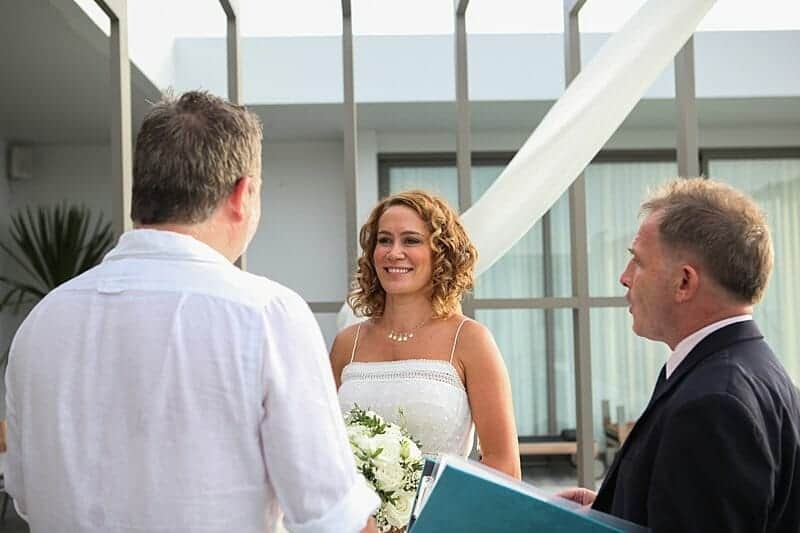 Together, we can work on designing your Ceremony tailored to your exact requirements. Sumner time in the western northern hemisphere is Monsoon time here in Thailand. It is the quiet time of the year but this appeals to some couples (plus the prices for almost everything in Phuket drop significantly). 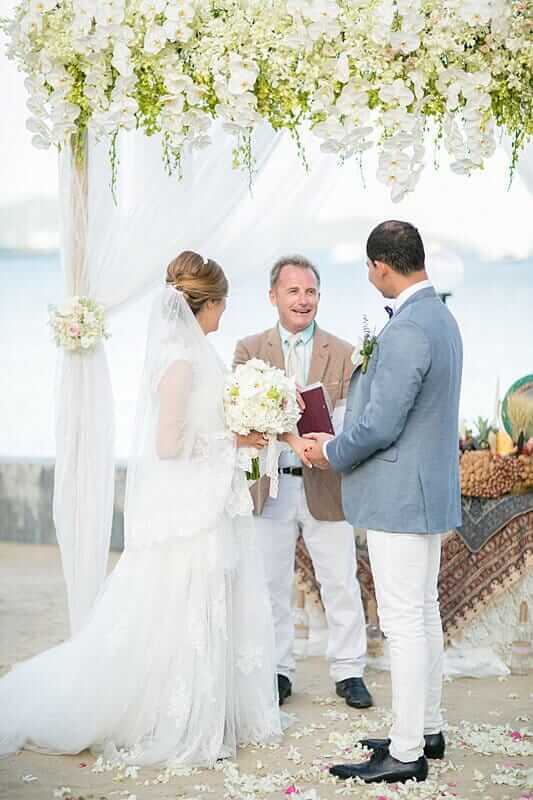 After a busy High Season, it was still my privilege to be the Wedding Officiant for a number of couples predominately from Australia but with some from the USA and Turkey. These were clients of Unique Phuket Wedding Planners. 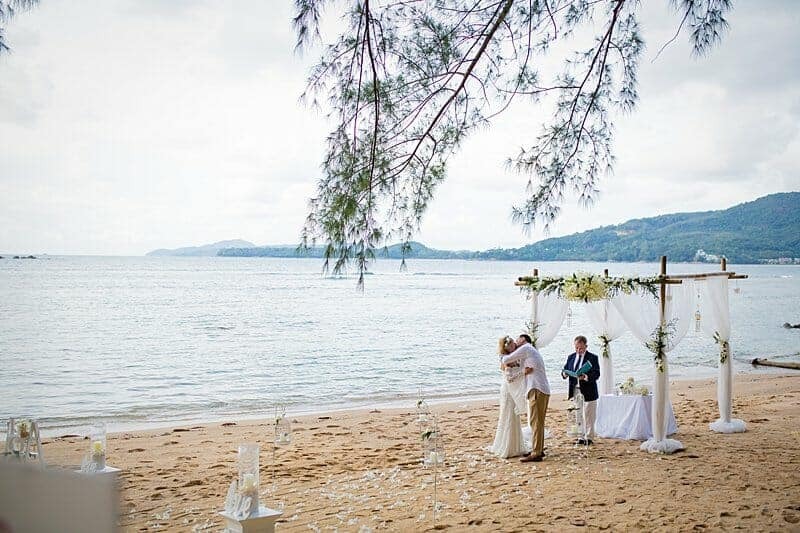 We specialize in providing affordable Weddings in Phuket without in any way compromising on quality and standard of service. Even though it was Monsoon time, we were able to have a dry Wedding Ceremony at around 5pm with only a few sprinkles of rain occasionally. Here is a snapshot of some of the Wedding Ceremonies this Summer 2017. 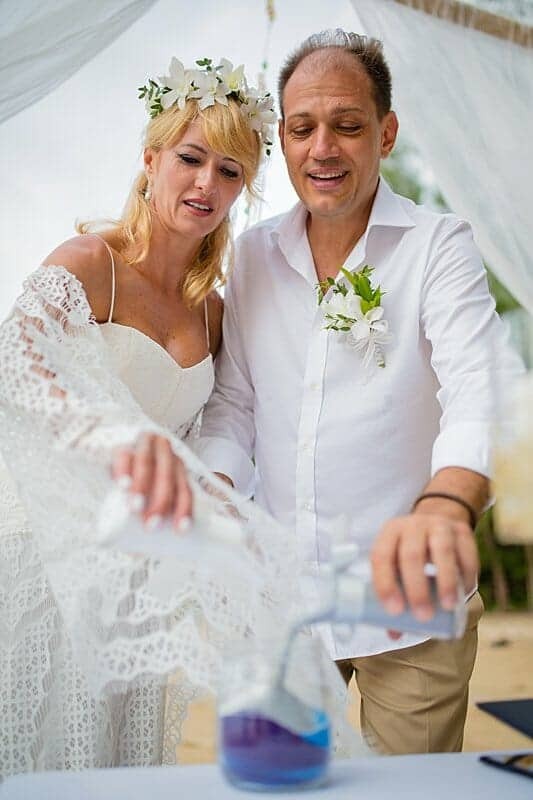 Thank you to Kirsty & Steve, Chadaporn & Neville, Tammy & Thomas, Farshad & Mozaghan and Mariana & Faik for allowing me to share their beautiful Wedding Ceremony pictures. 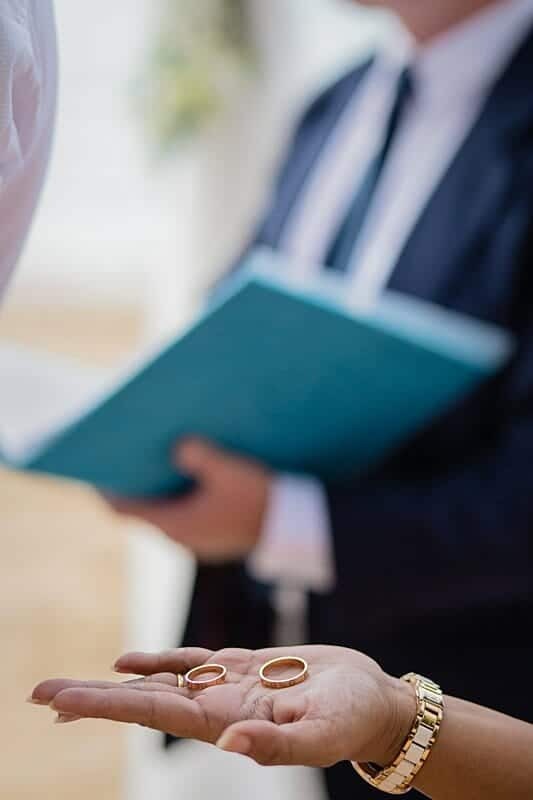 Also, below are some of the questions I frequently get asked in connection with searching for and booking a Wedding Celebrant and the process leading up to the actual ceremony day itself. I hope they can help you with your Wedding Planning? 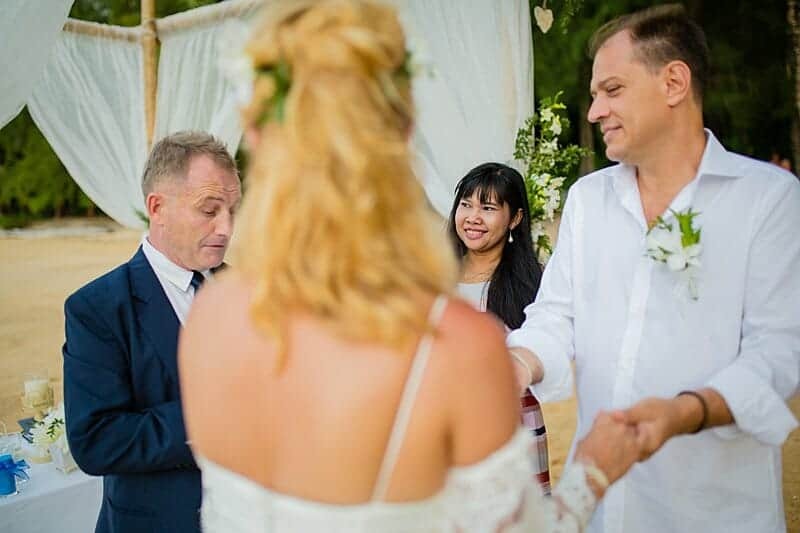 After a number of years in Phuket, I was asked to write a small article and my experiences as a Marriage Celebrant in Phuket Thailand. The full article can be seen here: https://goo.gl/EVT13y. 1. 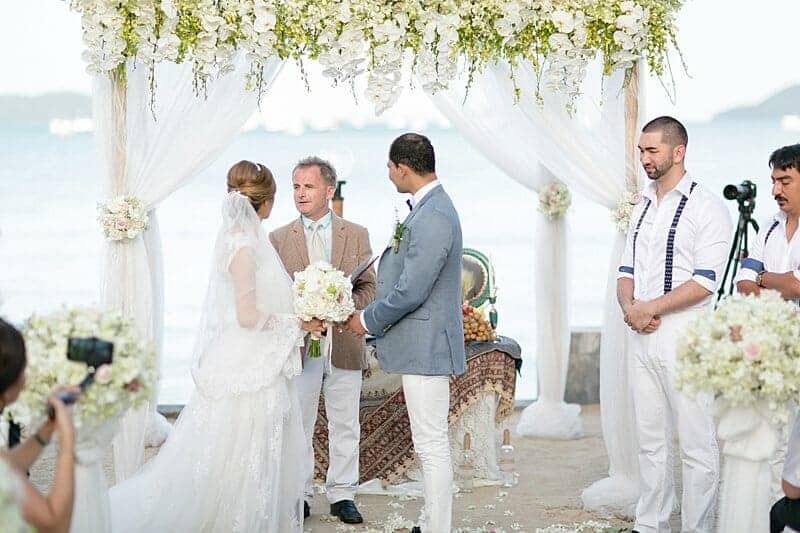 How do you find your Wedding Officiant? A1. 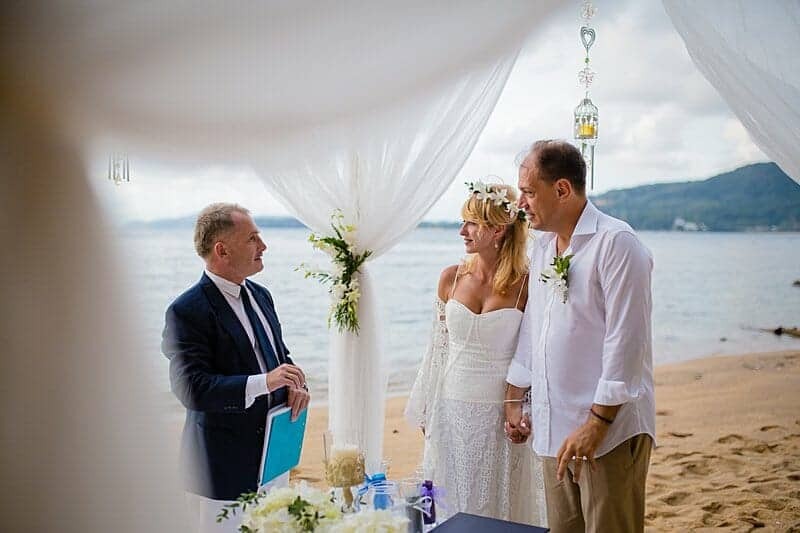 Your wedding planners should able to recommend a suitable Celebrant for you. Of course, an internet search will give you additional options. Established Celebrants will have Google Reviews and Videos to help you in your decision. 2. 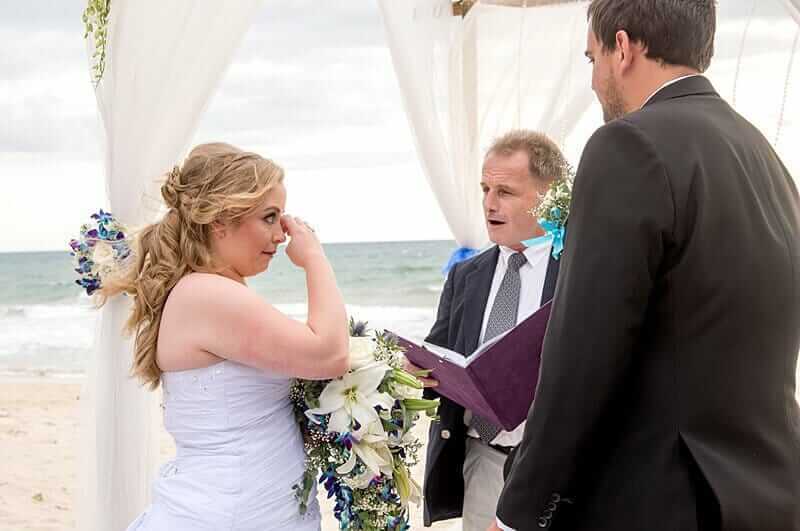 How do I book a Wedding Celebrant? A2. 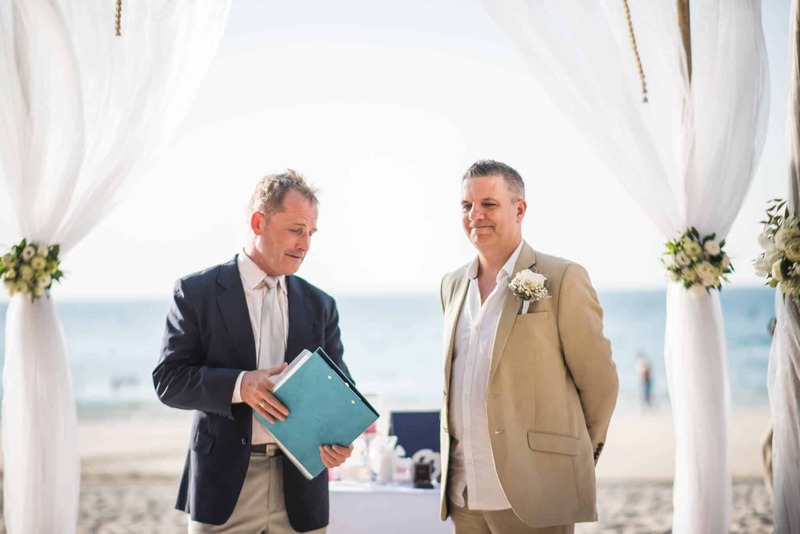 Once you have found a celebrant, if recommended to you by your Wedding Planners the Celebrant in most cases should write to you first. If this not the case a simple email outlining your Wedding Details and date and then you can communicate by email. A good idea is also a quick Skype call to ensure that all is clear and you are a match. Then the final arrangements and a booking can be made. 3. 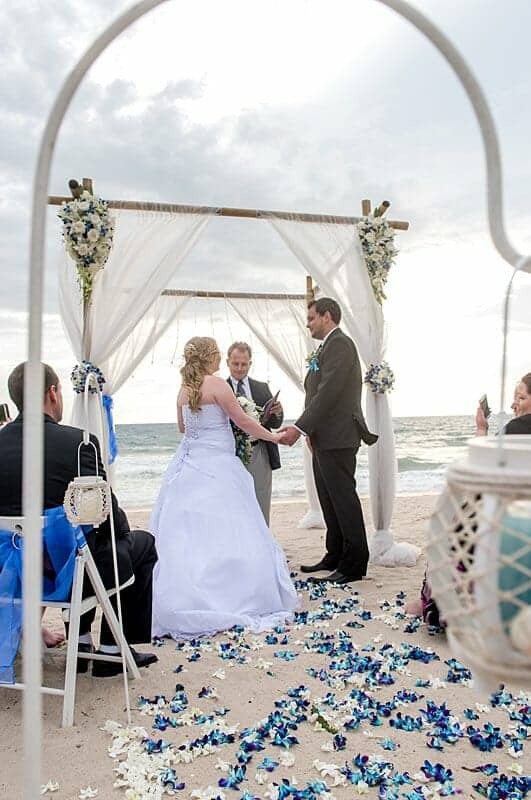 Is a deposit required for booking a Wedding Celebrant? A3. In most cases no, as the email confirming booking is suffice, as an agreement. If travel is involved the Celebrant may ask for the Travel expenses up front. A nice way for final payment is to deliver it personally after the Ceremony in a white envelope and maybe some written words from the happy couple? 4. 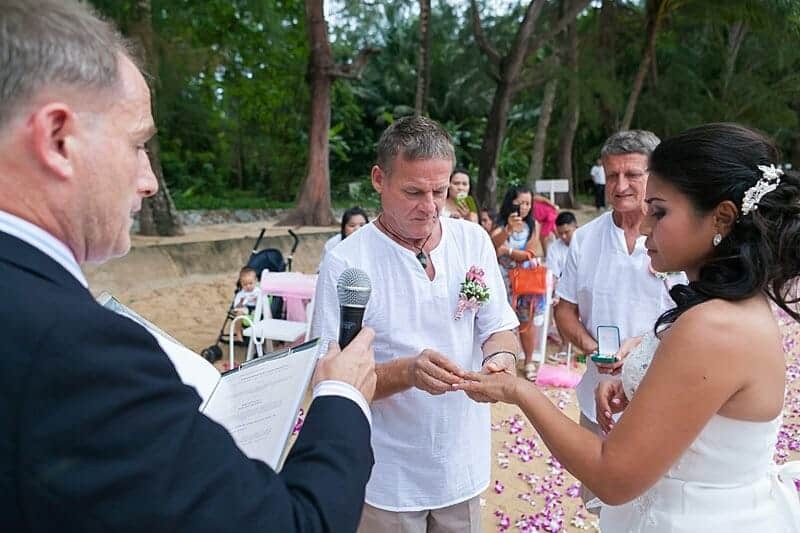 What happens next in for Wedding Ceremony Preparations? A4. 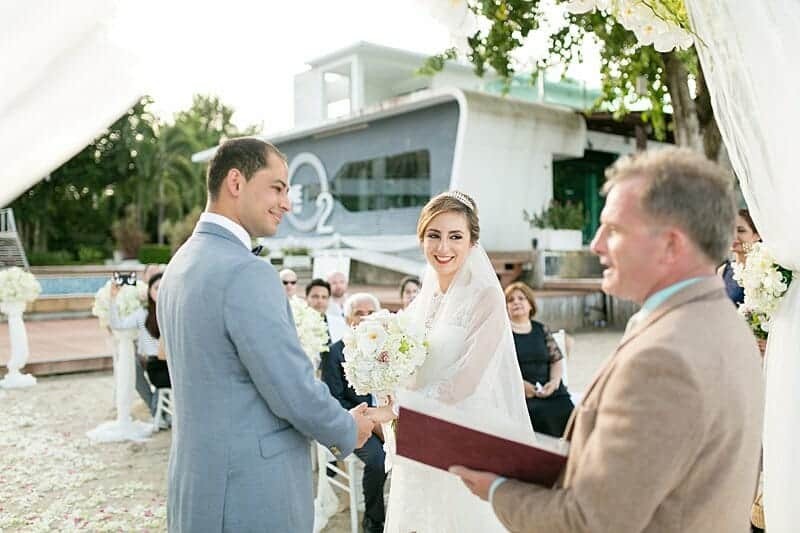 You may have some ideas already on what you would like to say to each other and your personal vows but the celebrant should be able to send you a few examples of different types of Wedding Ceremonies. 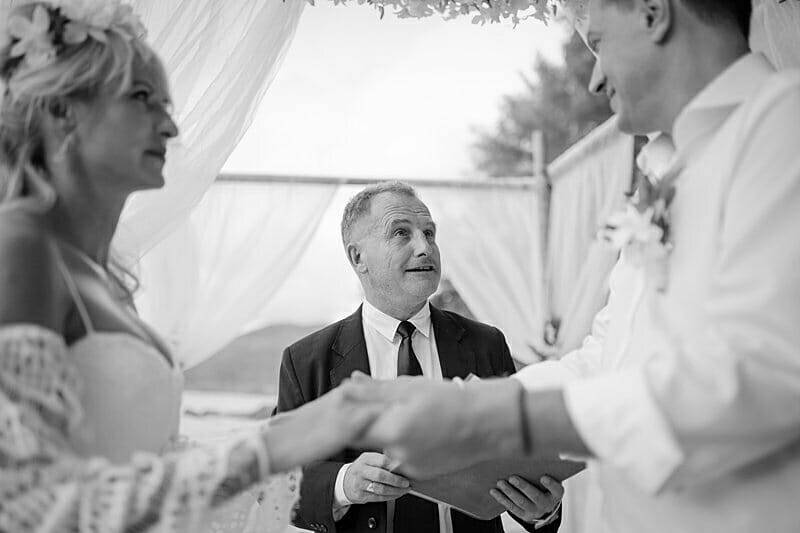 From here, you can cherry pick and add from these examples – it can short or long – anything is possible as it is your Ceremony. Then you all work on this together to a final version for the Wedding Ceremony. This normally takes 1-3 iterations before a complete final Ceremony is formed. 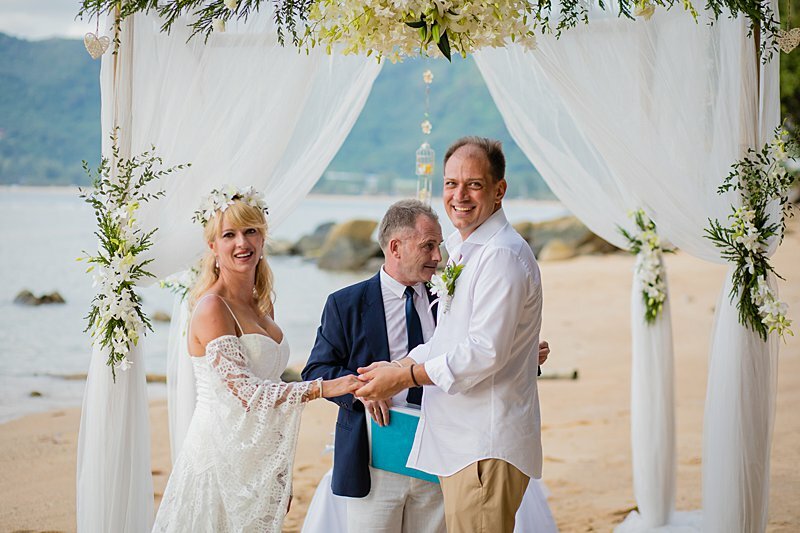 Finally, on the day the Celebrant role is to ensure that the ceremony runs smoothly and is relaxed so if you have any special requests just ask. Photographer: Jaran Kaewklam, Daeng Anukarn, and James. 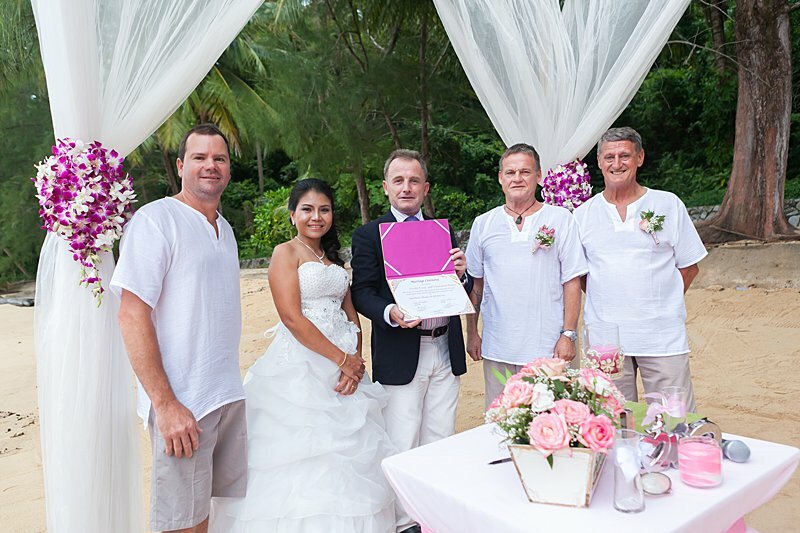 How to find a Wedding Celebrant in Thailand?